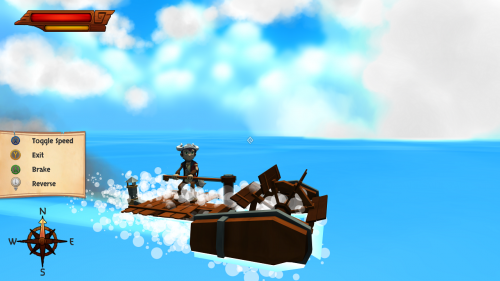 Cornerstone contains a number of different playable vehicles that Tyrim uses to get around. Some of them he even crafts himself! Sick of falling? 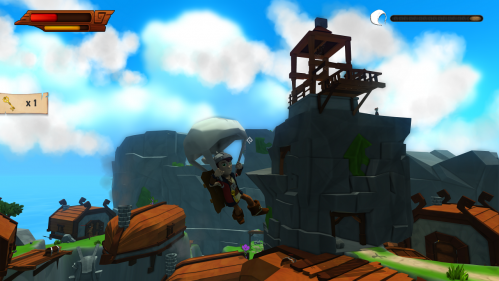 Craft a hang glider to make otherwise treacherous jumps and insure a soft landing! Just stock up on wool and you’ll be good to go. This will be the first new mode of travel you’ll encounter in the game. Make good use of it! Like father like son. The son of the designer of your raft has made plans for a truly seaworthy voyager. Equipped with a garden where you can grow food and medicine, you will not worry about starvation or sickness as you sail the seas of Nygard. 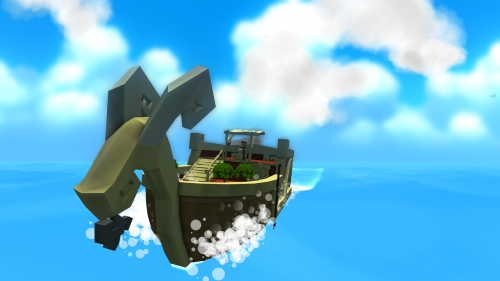 This vessel will stay with you throughout the rest of your adventure, no rebuilding necessary! But first, you have to retrieve those plans from your old “friends”, the Rocklovers. The desert can be wide and empty. Perfect place to shred some grains as you ride Mokaga’s trademark (patent pending) windsurfers through the dunes and canyons. Use the dust devils for extra boost but be careful of the explosive flora that can ruin your flow! Comes in 2 flavors: personal and cargo. Personal windsurfer blueprints can be found at the local shops; there’s one conveniently located on the Mokaga pier. Enjoy! 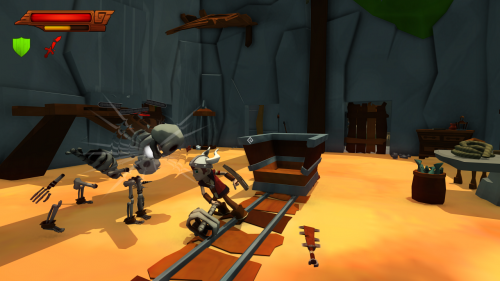 What’s a mine without carts to re-enact Temple of Doom in? 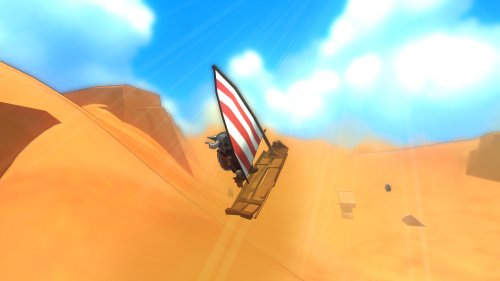 The mine cart system of Dune is in need of some repair but you can still get some short thrills zooming down a stretch or two, and even use them for some creative problem solving! But don’t forget to mind the gap.